A trailer for Disney's live-action Aladdin dropped during Sunday night's Grammy Awards. 90s babies have been interested in the live-action remakes of two films this year: Aladdin and The Lion King. The trailer featured a good look of Smith's Genie in all his azure glory, and pretty much everyone hated it. "I have worked at most of the studios, and Disney just knows what they are doing". It is, so it comes as no surprise that Disney is readying another live-action redo: Aladdin, the 1992 classic about a boy, his money, his carpet, and a genie who loves pop culture references. 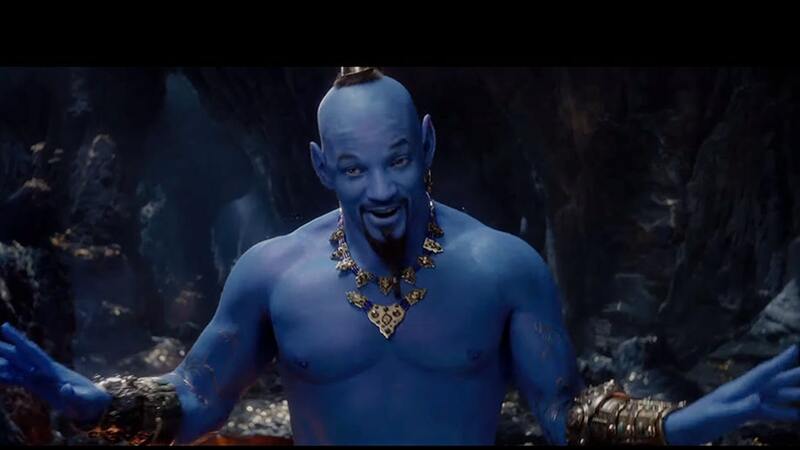 "Aladdin and Jasmine have different outfits, why not just Will Smith in a cool genie outfit", she tweeted, raising a valid point about how easy it is for awful CGI to completely ruin what could have been an fantastic movie. Smith once again posted on Instagram today after the spot was aired. "My character will be CGI most of the movie". "She's someone who is so beloved, and having an animated character and bringing it to life in the way that it'll be authentic and natural is the best part of the job for me". While it has to be hard to turn a beloved, blue cartoon character into one that looks remotely believable in real life, there's something about Smith's blue look that looks incomplete and nearly a bit creepy.